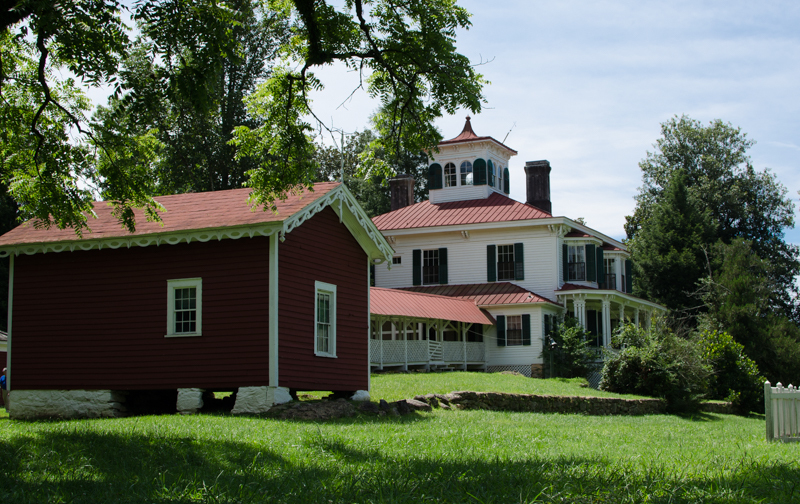 If you’re anywhere near the north Georgia mountains next weekend, please stop by the Hardman Farm State Historic Site for the Fall Celebration Festival on Saturday, October 14 from 10-4. I’ll be sewing in Captain Nichols’ room, which will be outfitted for the 1910s with a 1914 hand crank machine, Miss Leah (a 1916 dress form), and an early garment drafting system that looks like a torture device, as well as all the hand sewing accoutrements necessary for a visiting seamstress. I’ll be making doll clothes from patterns in the Mary Frances Sewing Book. Or at least fudgeling. I’m better at that than sewing! This entry was posted in Antique Sewing Tools & Crafts, Hand Sewing, History and tagged Antique Sewing Images, Antique Sewing Tools, Doll Costume, Hand Sewing, History. Bookmark the permalink. I wish I were closer!